It didn’t take BlackBelt 3D long to smash through its Kickstarter funding goal. We’ve been anticipating the launch of the company’s novel industrial 3D printer since we first learned about it in early May, and it seems we’re not the only ones: the Kickstarter campaign for the BlackBelt 3D printer, which launched today, hit its funding goal of €50,000 in a mere 15 minutes and has kept going. It’s easy to see the appeal of the BlackBelt 3D printer. Instead of a stationary build platform, the BlackBelt uses a conveyor belt, which allows for the 3D printing of geometries that are impossible with other printing methods. The machine prints at a 45º angle, which allows for the printing of horizontal overhangs without requiring support material. There’s also virtually no limit to the length of parts that can be 3D printed. The BlackBelt 3D printer was fully designed in SOLIDWORKS. It can be customized as either a desktop or a standalone machine; it’s adaptable to fit its environment. Additional modules are also available, such as a roller table for extra long products, a standalone frame with spool storage, and interchangeable print heads. 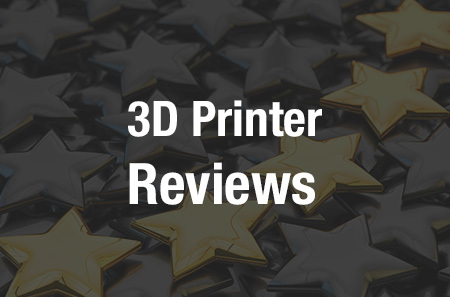 It can print with a variety of materials, and has been successfully tested with ABS, PLA and PETG. It’s also extremely easy to use, according to BlackBelt 3D. “The idea behind this concept was to bring 3D printers closer to the same level where 2D printers are nowadays,” Stephan Schürmann of BlackBelt 3D told 3DPrint.com last month. The build area of the BlackBelt 3D printer is listed as 340 x 340 x infinite mm; in addition to 3D printing exceptionally long parts, it can also produce an unlimited number of parts in a single build. It’s essentially a production line in a 3D printer. There’s no need to stop the printer between parts; the conveyor belt neatly drops them into a bin once they’re finished printing and moves on to the next. BlackBelt 3D has also teamed up with colorFabb as its material partner, drawing back to its founders roots with the company. Super early bird rewards are gone already, but there are still plenty of rewards left. €6,500 will get you an early bird discount, while for €7,500, you can get the printer for a significant discount off the retail price. €8,500 will get you a desktop version of the 3D printer; the final retail cost is expected to be €9,500, or €12,500 for the printer with standing supports and roller table. Rewards are slated to begin shipping in October of this year. Discuss in the BlackBelt 3D forum at 3DPB.com.